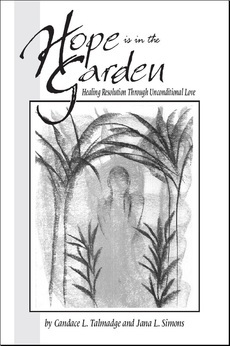 Candace L. Talmadge and Jana L. Simons reveal a unique approach to emotional and spiritual healing resolution in this compelling, powerful book. Using real-life examples from their work with clients, they show how gently releasing self-judgment from the subconscious mind results in immediate healing at all levels of self. Hope is in the Garden is available in paperback from all online booksellers or by order through stores. Check the Sunan website for more information about this unique and powerful method of emotional and spiritual healing. The Vision has earned the B.R.A.G. medallion. Under the pen name C.L. Talmadge, Candace writes and publishes speculative fiction that explores how politics, passion, and piety collide and destroy a world. In the island nation of Azgard, divided by race, rank, and wealth, a despised half-breed military physician meets the powerful parent she never knew, sparking a political firestorm that parallels their tempestuous private journey from strangers to family. The Vision and the three other published novels in the Green Stone of Healing(R) series are available in paperback and Nook and Kindle e-books from all online booksellers or by order through stores.